Vodafone plans to take on the Apple iPhone by launching its own high-end touchscreen phone before the Christmas shopping season. The firm also said it will launch no less than 25 new handsets in the run-up to Christmas. Vodafone said it will exclusively offer the Samsung F700V smartphone, which features a touchscreen and plays audio and video files, just like the Apple iPhone. Unlike Apple's handset, however, the Samsung F700 has HSDPA 3G connectivity, capable of downloading data at 7.2Mbps, and a less elegant pull-down Qwerty keyboard. 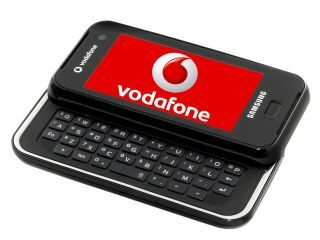 The mobile operator plans to customise the 'Apple iPhone killer' handset with Vodafone services and branding. Some 25 other handsets will also be launched in the run-up to Christmas, all of which will be 3G-enabled. Vodafone would not comment on whether it will offer the Apple iPhone as well. "We like the Apple iPhone. We think it's a unique user experience and we applaud Apple for what it's doing in the industry as a new starter," Jens Schulte-Bokum, head of the global terminal division at Vodafone, told PC World magazine. The Samsung F700V and the rest of the Vodafone Christmas range will go on sale later this month, although prices have yet to be confirmed.